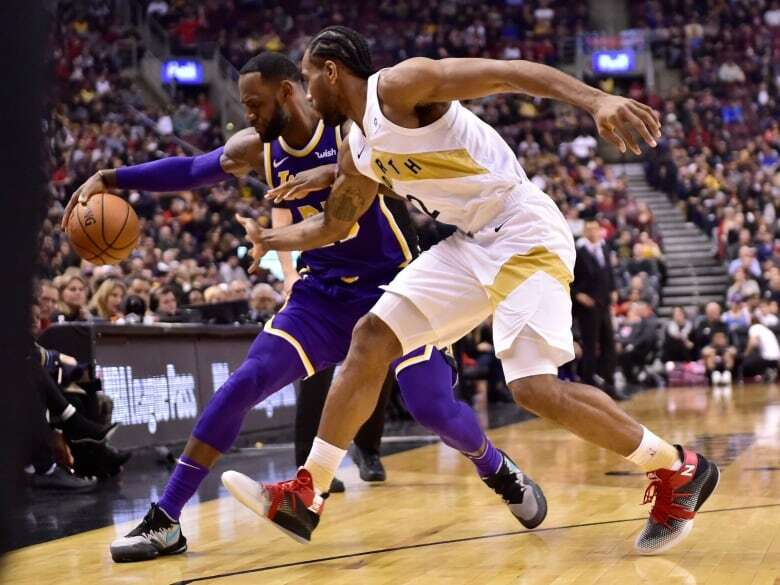 Kawhi Leonard scored 25 points as the Toronto Raptors defeated familiar foe LeBron James and the Los Angeles Lakers 111-98 on Thursday night. The Toronto Raptors continue to prove that they can win, no matter who — and who isn't — playing. "I feel like I need a raise," Siakam joked. "Oh, man. Oh man. For me, I'm down for whatever. That's the type of guy that I am. Being able to be out there every night, that's a blessing to me." 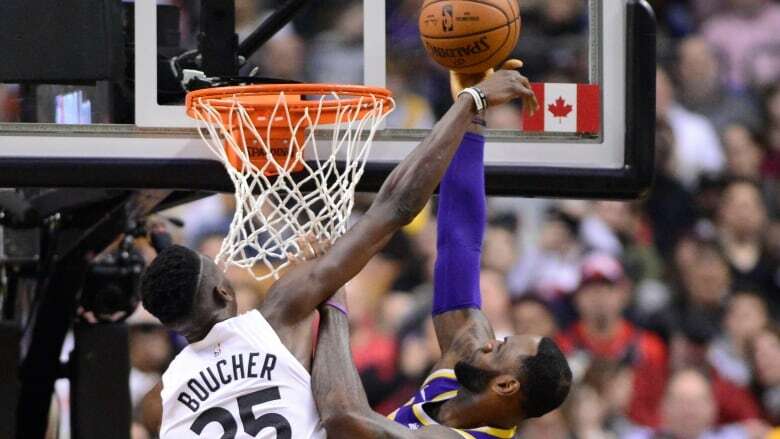 James, who all but singlehandedly halted Toronto's playoff runs in their tracks the past three seasons with Cleveland, finished with 29 points for the Lakers (31-37). Alex Caruso added a career-high 16 points. The Raptors were coming off arguably their ugliest game of the season, a 126-101 defeat in Cleveland on Monday that saw Ibaka slapped with a three-game suspension for fighting. Lowry also suffered an ankle injury in the loss. With injuries, Leonard's load management, new players, and continuous tinkering, coach Nick Nurse has stuffed his hand in and shuffled his virtual bag of players all season. "I've come from the minors and every little league you can think of," the coach said. "You never really know who's gonna be playing, so whoever you've got, you've gotta start coaching the heck out of them and try to get them to play together and play hard and share the ball and all that kind of stuff." Thursday's lineup was another new starting five, with point guard Jeremy Lin getting the nod for the first time since he was acquired last month. And without a backup at the position, the Raptors played point guard by committee for large chunks of the game. The responsibility fell on Powell for part of the game. He didn't mind. "It felt a little different," Powell said. "I was talking to Nick yesterday about it. With Kyle being questionable to play or not ... it was a lot of fun. I can get used to it a little bit. "I'm used to it, having the ball, getting guys set up. It adds another layer to my game." The new-look lineups didn't faze the Raptors, who raced out to an early double-digit lead that had become 13 points by the third quarter. Toronto took a 90-84 lead into the fourth quarter. When Malcolm Miller drained his second three-pointer of the fourth with 7:35 to play, it put the Raptors up 101-88 in front of a soldout Scotiabank Arena crowd of 19,962 that included actor Jaleel White — Steve Urkel on the 1990s sitcom "Family Matters." The Lakers pulled to within nine points twice down the stretch, on a three-pointer by Josh Hart, and then a basket by James with 2:35 to play. But that was as close as the Lakers, who'd overcome a 20-point deficit to beat Chicago on Tuesday, would come. The Raptors extended their franchise record with a ninth consecutive win over the Lakers, an undefeated streak that stretches back to Nov. 30, 2014. They also set a franchise record with their 20th victory of the season against a Western Conference opponent. Nurse said his players have become accustomed to the changing lineups. "The culture of winning has been here now for a while, we've got some guys that look forward to those opportunities to step up," Nurse said. "It's been shifting all year . . . So we've tried to just kinda plug the next guy in and keep going, and we've done a pretty good job of it." He praised the second unit, and its lack of a point guard. "They were okay, it's a group that can defend a little bit," he said. "We weren't super-organized on the offensive end but told 'em to play some D, switch everything, we've got a bunch of 6-6, 6-7 guys, maybe their defence could create some offence for them." Powell came off the bench to score 12 points in the first quarter, and his three-pointer with two seconds left in the frame gave Toronto a 33-25 lead going into the second. Caruso went a perfect 5-for-5 from the field for 12 points in the second, and his three-pointer with 4:34 left put the Lakers up by a point. But Leonard's buzzer-beating three-pointer was the punctuation mark on a 14-2 Raptors run that sent Toronto into the halftime break with a 65-54 lead. The Raptors are in Detroit on Sunday to face former coach Dwane Casey and the Pistons. Detroit is 2-0 against Toronto this season. The Raptors return home to host the New York Knicks on Monday. Toronto will be without Ibaka for both those games.